Columbus ohio commercial photographer tom dubanowich photographed the new Wendy’s design store in Hiliard, 4245 Cemetery Rd. Wendy’s is an international restaurant chain owned by The Wendy’s Company. The chain owns 6634 restaurants. Wendy’s is managed mainly by franchisees. 97% of its restaurants are run mainly by franchisees. Only 337 of all the restaurants are owned by the company. The first Wendy’s restaurant company opened at Columbus, Ohio in 1969. Wendy’s is the third largest QSR restaurant chain in the world in the hamburger sandwich segment. The main market of Wendy’s is USA where its restaurants are operational in 50 states. Canada is also an important market for Wendy’s. There is heavy competition in the QSR industry. Therefore, each brand spends heavily on marketing and advertising. Wendy’s utilises several channels for marketing and promotions including digital and regular channels. The company also uses social media for promoting its brand and products. Social media has become an important promotional tool for marketing businesses. Almost all QSR brands are using the social media sites to promote their brands and products and grow their consumer base. Facebook is a leading social media channel for marketing your business. It offers a large audience of more than 2 billion. Wendy’s and other several QSR brands use Facebook to market their brands and products. It has around 8.5 million followers on Facebook. Apart from the main social Facebook page of Wendy’s, the company also has a few other pages dedicated to various markets. Wendy’s uses the main Facebook page for promotions mainly. It promotes new offers and deals before its 8.5 million large audience. Its posts receive millions of views and hundreds to thousands of likes. This shows a nice level of engagement. However, Wendy’s also receives consumers’ complaints through Facebook and its staff respond to consumer complaints and comments whenever necessary. Twitter is also a major social media channel with an audience of higher than 300 million. QSR brands use it for running promotional contest as well as engaging audience on a variety of topics. The social media network offers attractive features for real time marketing and engagement. You can run promotional campaigns and grow your audience using Twitter. There are around 3 million followers of Wendy’s on Twitter. Each post receives thousands of likes and hundreds of shares as well as responses. Wendy’s has managed a nice level of engagement on Twitter as well. The level of activity is generally limited to one to two tweets a day. Insta is also an attractive platform for marketing your brand and sharing multimedia promotional campaign. You can reach a large audience and run promotional campaigns as well as allow users space for discussion on important topics. The company has made around 300 posts on Insta. It has around 800 K followers on Insta. Each post receives several thousands of views, hundreds of responses and thousands of likes. In this way, Wendy’s has managed a nice level of engagement on Insta. Linked In has grown in popularity as a networking site and a marketing channel. It has a large audience of professionals before whom you can promote your business and your work culture. The Wendy’s has managed a nice level of engagement on Linked In as well. It promotes its work culture and brand on Linked In. Wendy’s has around 50.5 K followers on Linked In. It makes around 1 to 2 posts a week only on this platform. YouTube is a great video marketing channel. The networking site offers a very large audience of around 2 billion people. QSR brands share promotional and educational videos on YouTube to market their products and brands. Wendy’s has around 84K subscribers on YouTube and it has uploaded around 25 videos to its official YouTube account. Most of them are promotional videos and the company has managed nice level of engagement through YouTube. Apart from promoting its products on YouTube, it engages its customers who comment and respond on these videos. Wendy’s is a major QSR brand which markets itself from several channels including the regular channels and the digital channels. The company is headquartered in USA which is also its main market. It is run mainly by franchises who operate around 97% of its stores. 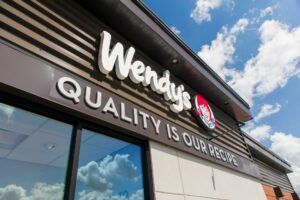 Wendy’s has maintained an active presence on the networking sites and uses them to promote its products, businesses, work culture and to manage customer relationships.